Web security is growing even more vital for businesses and individuals each passing day keeping in mind that almost every day we wake up to news of a data breach. Even the big companies are finding it hard to keep their websites safe and that’s why it’s time for you to step up your own security as well. Now, how do you secure your website from cyber threats? Well, the answer might be in simple security measures and this article gives you some of the tips to help keep your website safe. The first and one of the easiest ways to protect your website from cyber threats is installing an SSL Certificate. SSL simply stands for Secure Socket Layer which is a protocol that facilitates secure communication between your server and the client end. 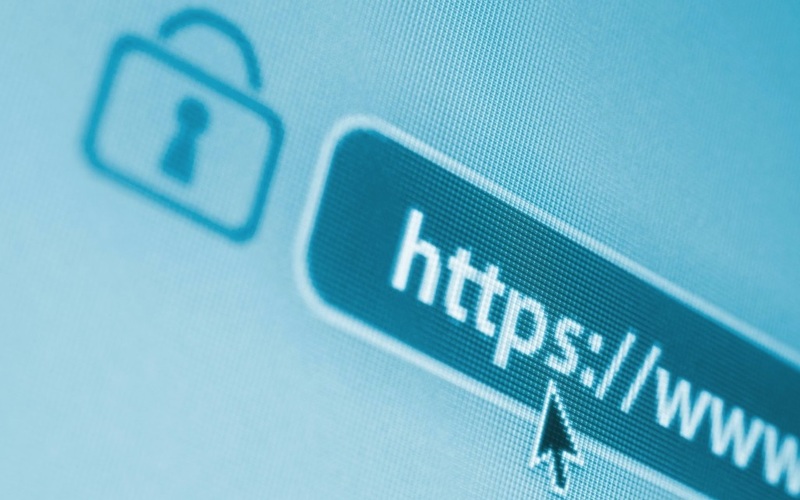 By installing an SSL certificate, your site is turned to HTTPS which means that the client-server communication is encrypted from any third party eavesdropper. All you have to do is buy a cheap SSL certificate from SSL2BUY that fits into the kind of website you are running and you are good to go. A standard SSL certificate will often do the job but you can go for an EV SSL in case you need better security features. Chances are that your site is built on a CMS platform like WordPress, Drupal, Magento, Shopify and the likes. If that is the case then you have to keep updating your CMS platform to ensure that any security flaw in the previous version of the CMS is fixed. Having flaws means security loopholes on your platform and this is why the CMS is always updated from time to time it is probably even updated automatically on your side. If it is not updated automatically then you will have to do it manually. It’s obvious that your passwords have the route towards your system whether it is on the admin side or from the user end. This is why you have to be vigilant in the way you handle passwords. For starters, you should desist from storing passwords in plain text particularly in databases. This is every cyber criminal’s dream. A breach that delivers all the passwords on a silver plate! Interestingly, even the big fish in the business tend to make this mistake including the likes of McAfee, Adobe, StockInformer etc. There is even a blog dedicated to highlighting the many companies that make this mistake. Although web errors might just look like a glitch to normal web users, this might not be the case to someone who is tech savvy. Cybercriminals can mine a lot of information about your site and system just by looking at those errors that pop up when something goes wrong. For example, the criminal can get to know the technology used in the presentation layer, the structure of your web application, the application server details etc. Then they can conjure up ways to breach the system. DOS attacks are quite common and no site is immune to this. Just recently, Github was taken off air by a 1.35Tbps DDoS which just serves to show what the future holds in terms of DOS attacks. If you haven’t heard of DOS attacks then it stands for Denial of Service attacks and it’s an attack where a site is taken off through illegal traffic which in turns deny legitimate traffic access to the site. How do you brace yourself against DOS attacks? The best way is to keep an eye on the traffic coming your way and perhaps limit the regions allowed to visit your site. You can also block the ports that can be used to attack you, like the UDP port 11211 which was used for attacking Github. XSS is short for Cross Site Scripting and it is a technique where an application is duped to send malicious script through a browser. In other words, whenever the user loads the app, then he or she will also be loading the malicious script. If you are using credit cards to handle transactions then you have to ensure that you are PCI DSS compliant. These means following the universally accepted security policies in the realm of credit, debit, and cash card transactions which also looks at protecting cardholders against misuse of their personal information. In essence, there are 6 objectives that you need to follow in order to be compliant. These steps can go a long way in protecting your customers and your business from a data breach. This is another common for attack targeted at many websites around the world as virtually every site is database driven. SQL standards for Structured Query Language and it is the language commonly used to interact with databases. Now, SQL attackers infiltrate sites by manipulating SQL statements in a bid to gain access to the database or its contents. One way to prevent it is to use parametrized queries when interacting your SQL based databases. In a nutshell, cyber-attacks aren’t going away and the best to option is to buckle up for the ‘bumpy’ ride. Work to secure your website through these simple techniques but remember to keep abreast of developing trends in the world of web security, just to stay on top of your own security.